probably be with us for the rest of their lives, others who are saving hard but mostly people who want to pay an all inclusive rent so they can spend the rest of their disposable income on dating and beer! We are HMO and other forms of property investors in Cardiff. It was interesting to read of your experiences with tenants. We tend to be less involved with them. What are your target rental yields for new investment? I’d love to be able to give you a business-like, strategic response but, as the blog tells, there was little planning behind it! The last 2 I got up and running for someone else have a 12% yield before costs. How do you calculate yours and what do you consider to be an acceptable yield? I own and run a number of HMO properties in Cardiff which are predominately professional house shares and achieve gross yields of 18% and provide an excellent return on investment. Have you had any experience running HMOs in London? Are our yields and profile of tenants different in London? Hi Jason. Whilst I don’t have direct experience of London HMOs, the principle is pretty much the same although the figures are different bearing in mind the high property prices there. My market is LHA claimants and working people and I understand in London there is a large demand for professional houseshares. My course and the book focus on the practicalities of managing HMOs and how to choose and keep your tenants to ensure your yields stay high. Frequent tenant turnover will quickly eat into your profit. Ash Zuberi (you can find him on Twitter) is a London HMO landlord or you are welcome to ask me any further questions. Thanks for reading! Wondered whether you have any experience of HMO’s in L6? There some big properties around Newsham park that would definitely suit the model and cash flow well but is there much tenant demand? Hi James. No I don’t have any experience of the area but you could always test tenant demand by advertising in the local paper or sites such as Spare Room and Gumtree and see who responds. Good luck! 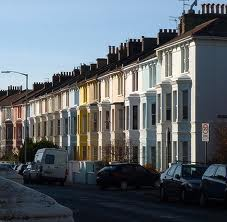 Do you know if there are HMO operators who will lease you property from you for use as an HMO?